'Ripe': One Man's Quest For The Perfect Tomato Once upon a time, tomatoes were considered poisonous, even dangerous. But gradually, the plump produce made its way into our homes and onto our plates. Arthur Allen tells the story of the tomato's redemption, popularization and eventual modification in his book, Ripe: The Search For The Perfect Tomato. Author and tomato expert Arthur Allen says the trend toward harder tomatoes makes them less useful as projectiles -- when a hard tomato hits a politician or comedian, it won't explode on impact. Once upon a time, tomatoes were considered poisonous, even dangerous. But gradually, the plump produce made its way into our homes and onto our plates. 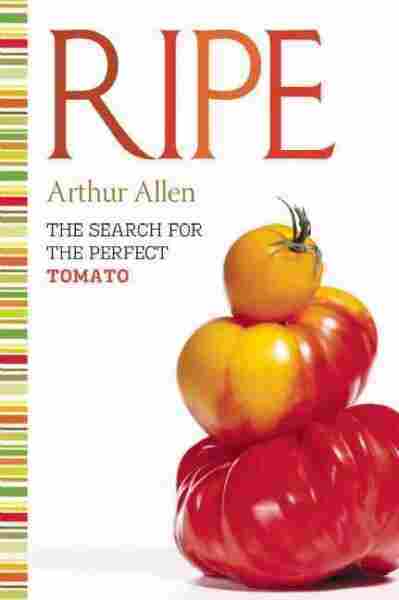 Arthur Allen tells the story of the tomato's redemption, popularization and eventual modification in his book, Ripe: The Search For The Perfect Tomato. The tomato's versatility wore down its detractors bit by bit, Allen tells NPR's Jackie Lyden. "There's so many different ways that you can eat it," he says. It first caught on with peasants in the Mediterranean, where it grows very well, and eventually the protests of doctors who considered it poisonous "gave way to good sense and taste." Allen found tomatoes a rich subject for study, with a history full of stories and lore. "Anyone who cares about food usually has strong feelings about tomatoes," he says. It's a familiar food, he explains. "The tomato's the original back garden summer edible that you remember from your grandmother's garden, or your own garden." Additionally, tomatoes are a satisfying subject because of the changes in the tomato, and the way people are often dissatisfied with the tomatoes at the local grocery. Consumers' interest in heirloom tomatoes and varieties in which taste trumps durability has changed the way producers think about what's on the vine. For decades, says Allen, larger commercial growers considered flavor an "afterthought." Nowadays, tomatoes that taste better command higher prices. Allen found his favorite tomato in California: the Speckled Peach. He brought the seeds back to the East Coast, and planted them. But the result was mediocre. "We just realized it's something about California -- the sun, the soil, whatever it is -- and that's very characteristic of tomatoes. Certain types go in certain areas." Nonetheless, Allen celebrates the appealing diversity in color and shape of homegrown tomatoes. "Part of gardening is just the fun of it, and the aesthetics of it," he says. "And then we fool ourselves into thinking that these are wonderful tomatoes, when really," he says, laughing, "they're just average." A California farmer named Sandra Belin had brought me to this oasis to give me a sense of the trials and joys of helping organize poor people to successfully grow vegetables for the remote taste buds of the American middle class. Sandra and her husband, Larry Jacobs, owned Del Cabo Farms, a company that exported tomatoes and other organic produce from Baja farms and that employed, directly or indirectly, about five thousand families. Kanti Rawal, a University of Illinois-trained geneticist and plant breeder, was also along that day. A young Mexican agronomist named Fabiola Rodriguez, who was learning the finer points of tomato breeding from Kanti, was driving the pickup. Kanti -- I have never heard anyone call him by his last name -- was a sprightly sixty-eight-year-old with a beak nose and honey-colored eyes, dark brown skin, and a shock of white hair reminiscent of Danny Kaye's. Before he'd become Del Cabo's breeder, Kanti had worked in nearly every aspect of the tomato business. In the 1970s, he'd helped the U.S. Department of Agriculture organize its tomato genetics database and then went to work developing canning tomatoes for Del Monte. 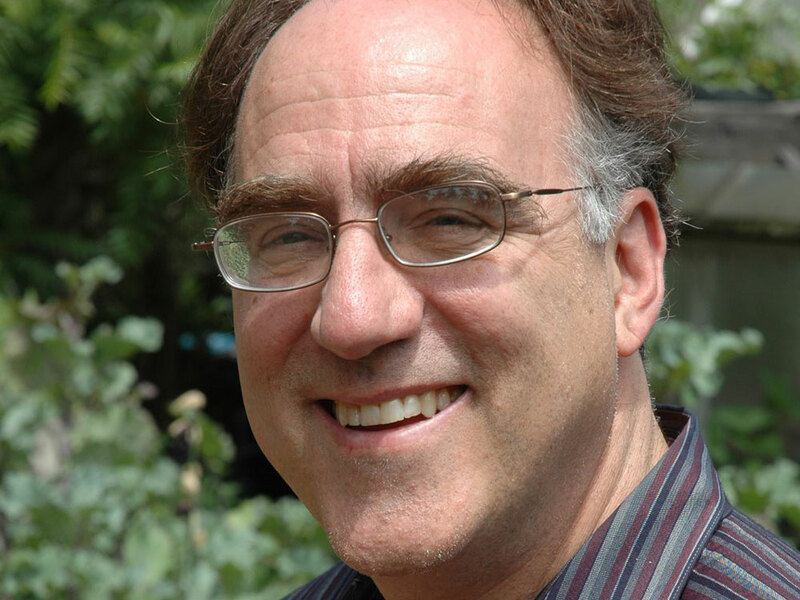 In the 1990s, the biotech company Calgene hired him to help design the first genetically engineered vegetable, the Flavr Savr tomato. Kanti had patents on yellow canning tomatoes, and his vegetables had appeared on the cover of the Burpee Seeds catalog. But he was old enough to be thinking less about money and more about his life's purpose, which drew him to Larry and Sandra. In exchange for a small wage and expenses, Kanti was developing new cultivars, or varieties with a simple but difficult goal. He wanted to produce delicious tomatoes that were hardy enough to be transported over many miles and through much rough handling from a poor farmer's field in Mexico to the supermarket emporia of America. If he succeeded, it could mean the difference between these farmers staying with their families on the farm and being forced into the wrenching life of emigration -- a life that had uprooted so many millions of their compatriots. Here, in short, Kanti could make a difference. "Larry and Sandy are open and frank and honest and generous. They're like Peace Corps volunteers who never grew up," he said. It wasn't that hard to sell his seeds for decent money. "But what do I do with that five million dollars? My legacy will disappear like everybody else in this business. Even if Fabiola and the others don't stay in this company, they're getting a feel for breeding and how it works, the whole tomato trail from here to Chicago or Philadelphia or L.A. And they'll be proud their products are making somebody smile." From a distance, the farm near La Ribera looked like any other anonymous human postage stamp in the desert, a vague green acre backed against forbidding sandstone. The field was surrounded by wild growth -- banana plants and sunflowers, hummingbirds and butterflies, datura and castor beans growing along the edges. As we got closer, threading our way through the barbed-wire enclosures that kept cattle out of the pockets of cultivation, we could see that something unusual was going on. Kanti was the first to notice. The tomatoes were Golden Honeybunch, a cultivar he had been tinkering with for fifteen years, and they were growing in magnificent clusters. In twelve rows, each as long as a football field, tens of thousands of spherical golden berries were hanging in thick masses off pale green vines that roped luxuriantly around the training twine. Kanti made a beeline for his tomatoes. He started walking down a row, eating as he went, and soon he was shouting his questions and frustration at anyone who'd listen, in the mixture of Spanish and English that he spoke with a Gujarati brogue. "I'm at a loss as to why no one is harvesting these," he said. "This is like gold, man!" Taste is as personal as love, as ephemeral as the fish that got away. First impressions are as important in taste as they are in love. A bad sensation tends to close the mind; a good one opens pathways of plea¬sure, comfort, and acceptance. Over time, the intensity of taste fades. Today's thrill can be bland or sour in the morning, or even in half an hour, and bittersweet is just a sentimental recollection from inside a bitter present. Tomato flavor is complex, fleeting, impossible to describe. For all that, I'll be damned if those weren't the best tomatoes I'd ever tasted. At the time, I wrote in my notebook that they communicated cantaloupe and fresh pulpy mango, with only a piquant tang at the back of the mouth to remind you they were tomatoes. They crunched when you bit into them, releasing bursts of extravagant flavor, an encyclopedia of delight. If you closed your eyes, you might think you weren't tasting tomatoes at all, but some tropical fruit. And they were so sweet that Kanti broke into a corny 1960s ditty. "Sugar, Sugar," he sang, dancing around like a child, "Honey, Honey." We ate them continuously over the next three days -- riding up and down the peninsula checking out the farms, sitting around with Larry and his computer at the dinner table on the porch of their house in San Jose del Cabo. Like Jehovah's Witnesses of flavor, we brought bags of the tomatoes everywhere we went, proselytized for them, imposed them upon friends. If we could have bottled that flavor, we'd have made a mint. There was a hitch, though. These tomatoes were at the height of ripeness, but the people for whom they were grown lived at least 1,200 miles away. The buyers talking on their phones in warehouses in places like Nogales, Arizona, San Francisco, and Chicago didn't know about them. Whole Foods and Trader Joe's didn't know about them, and neither did the Zuni Cafe or Alice Waters. As for the discerning shoppers, those willing to pay a premium for these exotic tomatoes, they were doing what upper-middle-class people do -- typing on their Macs with family photographs push-pinned to cubicle walls in Manhattan and Minneapolis; listening to NPR in their bathrobes in Bethesda, Maryland; driving on Interstate 70 through Golden, Colorado; or stopping for coffee at a Starbucks in Santa Monica. They were all far, far away. Would the flavor of these tomatoes survive the journey? 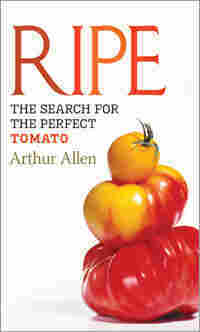 Excerpted from Ripe: The Search For The Perfect Tomato by Arthur Allen. Copyright 2010 by Arthur Allen. Excerpted with permission of Counterpoint Press.